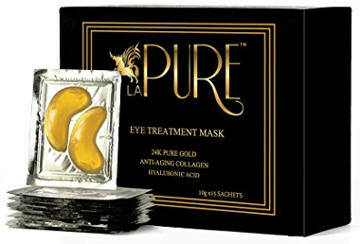 After watching multiple youtube videos of reviewers testing out LA PURE 24K Gold Eye Treatment Mask and looking at the ¨before and after¨ results of this product as well as finding out what users experience by using it, I decided to check more upon this eye mask, its ingredients as well as other things one needs to know before choosing to buy this product. La Pure Company claims that their mask is intensively hydrating, leaving the skin smooth and refreshed. It also boosts blood circulation and expels toxins and free radicals which lead to skin inflammation and skin aging. This eye mask has not been tested on animals and is created to reduce eye puffiness and dark circles under eyes as well as minimize the appearance of wrinkles, crow´s feet and fine lines. 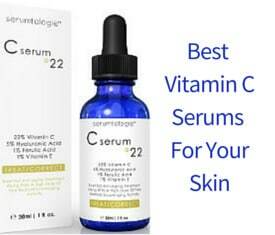 It will also help to prevent premature skin aging and make the eyes´ area look brighter and less fatigued. If you are still wondering, let me tell you that this product actually contains 27K of pure nano gold! That may sound cool in the first place but what can this ingredient really do? According to La Pure, gold has been used as a skin treatment ingredient for centuries and is recommended by various top spas all over the world as a luxury and effective skin care ingredient. More specifically, the active 24K gold of this mask is the key ingredient for de-puffing eyes, reducing dark circles and wrinkles as well as improving blood circulation, expelling harmful toxins and intensively hydrating the skin. 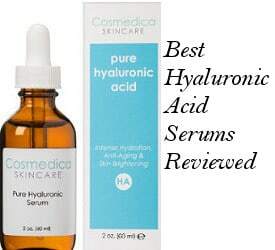 Other key ingredients include hyaluronic acid which is well known for its excellent long-lasting hydrating properties as well as grape seed extract that absorbs well into the skin and is good for preventing premature skin aging. Other good ingredients that I have noticed while browsing through the full list of this product´s ingredients are Vitamins B3, C and E, red algae extract, allantoin and rose essential oil. Another ingredient listed on the top is Plant Collagen Hydrolyzed Soy protein. This 24K Gold Eye Treatment Mask (15 pairs in a pack) should be used on clean dry skin. If you prefer a more cooling effect, you can put it in the refrigerator one hour before application. Gently remove the two masks from their package and put them on, pressing them down softly till they stay on. Let them on for 20-30 minutes and then gently remove them. Softly massage the remaining particles till your skin fully absorbs them. The company recommend using these masks three times a week (each packet once) but state that there is no problem if you like using them every day or whenever you notice dark circles or bags appearing under your eyes. The company indicate that their product is not suitable for people with hyper-sensitive skin and they ask you to perform a patch test first by applying the mask on the inner wrist of your hand and leaving it on for two minutes. If after doing that, you experience any feeling of burning or irritation, they recommend removing them immediately and contacting them in order to refund you fully. How do Users Review LA PURE 24K Gold Eye Treatment Mask? Most of the users´ reviews as well as videos of reviewers portraying before and after results do agree on one thing, that this luxurious eye mask does make a difference on the appearance of their eyes and after continuous use, the results get even better. Also, most of the users agree that this product feels great when it is on, giving you a cooling, soothing, refreshing and relaxing feeling. So, what type of changes do users experience after applying this mask? The area under their eyes looks brighter, refreshed and less fatigued, which makes this product a staple for newborn mommies and in general people whose life conditions do not allow them to enjoy much sleep. In addition, people experience positive results when it comes to their eyes´ puffiness and say that they are actually impressed with the effectiveness of this product considering its low price. This 15 pair pack makes it a great value as well. Other benefits people have noticed is a smoother, more moisturized and a bit more firm skin under their eyes. They say that the mask is easy to use and when they use it before applying their concealer, the concealer gets applied better and looks better as well. After using this product and letting it fully absorb, you can apply your normal moisturizer as always. Overall, people like this eye treatment mask a lot and love keeping it in the fridge for those moments that their eyes look not as good as they would like. After watching multiple videos of reviewers trying out LA PURE 24K Gold Eye Treatment Mask, I can say that even after one application, this product did seem to make a difference on people´s under eye area, helping it look brighter and less tired. If you perform a patch test before applying it under your eyes and you do not get any reaction, this is a useful eye product to have and use it whenever the need comes or even some times every week. 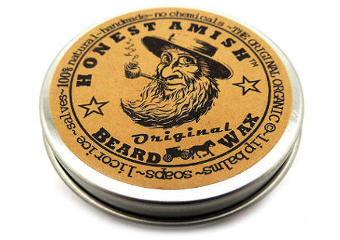 Its price is not prohibitive either I would say, depending on your skin care priorities of course.